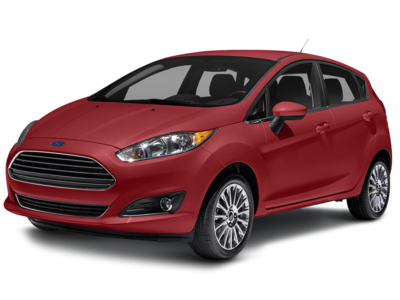 Coming in at number 10 in our list of Best Gas Mileage Hatchbacks is the 2016 Ford Fiesta. 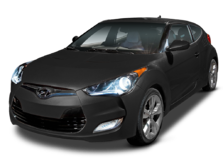 Current inventory meeting this criteria averages 30,361 miles. The 2016 Fiesta achieves a combined MPG figure of 32. Scroll down to see what inventory is available in your area - hurry, before these great deals sell out! Ranking ninth for Best Gas Mileage Hatchbacks is the 2014 Mazda MAZDA3. Current inventory meeting this criteria averages 37,670 miles. Fuel economy is rated at 33 MPG combined. Scroll down to see what inventory is available in your area - hurry, before these great deals sell out! Coming in at number 8 in our list of Best Gas Mileage Hatchbacks is the 2016 Nissan Versa. Current inventory meeting this criteria averages 31,492 miles. Fuel economy is rated at 34 MPG combined. 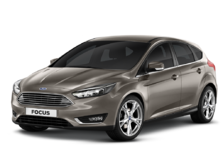 Take a look below to find the Versa in your area that suits you best! Coming in at number 7 in our list of Best Gas Mileage Hatchbacks is the 2015 Honda Fit. Current inventory meeting this criteria averages 33,128 miles. The 2015 Fit achieves a combined MPG figure of 34. Scroll down to see what inventory is available in your area - hurry, before these great deals sell out! Coming in at number 6 in our list of Best Gas Mileage Hatchbacks is the 2015 Chevrolet Spark. Current inventory meeting this criteria averages 33,805 miles. Fuel economy is rated at 34 MPG combined. Scroll down to see what inventory is available in your area - hurry, before these great deals sell out! Coming in at number 5 in our list of Best Gas Mileage Hatchbacks is the 2015 Lexus CT. Current inventory meeting this criteria averages 26,150 miles. Fuel economy is rated at 42 MPG combined. Scroll down to see what inventory is available in your area - hurry, before these great deals sell out! Ranking fourth for Best Gas Mileage Hatchbacks is the 2015 smart fortwo. Current inventory meeting this criteria averages 16,703 miles. Fuel economy is rated at 36 MPG combined. Scroll down to see what inventory is available in your area - hurry, before these great deals sell out! Slotting in at third for Best Gas Mileage Hatchbacks is the 2015 Mitsubishi Mirage. Current inventory meeting this criteria averages 26,492 miles. The 2015 Mirage achieves a combined MPG figure of 39. Scroll down to see what inventory is available in your area - hurry, before these great deals sell out! Slotting in at second for Best Gas Mileage Hatchbacks is the 2014 Toyota Prius. Current inventory meeting this criteria averages 42,804 miles. Fuel economy is rated at 50 MPG combined. Scroll down to see available inventory for 2014 Prius in your area. Coming in at number 1 in our list of Best Gas Mileage Hatchbacks is the 2014 Toyota Prius c. Current inventory meeting this criteria averages 37,214 miles. The 2014 Prius c achieves a combined MPG figure of 50. Take a look below to find the Prius c in your area that suits you best!